Arappor Iyakkam has given a Free App by name API that lists the candidate by each constituency , their details like age , income , assets , criminal record etc . Right now it has details of all the 40 Constituency of TN& PONDICHERRY and a very useful tool to know more about your candidates before voting. So check the assets , income , criminal record of your candidate or at least be aware of them before voting . 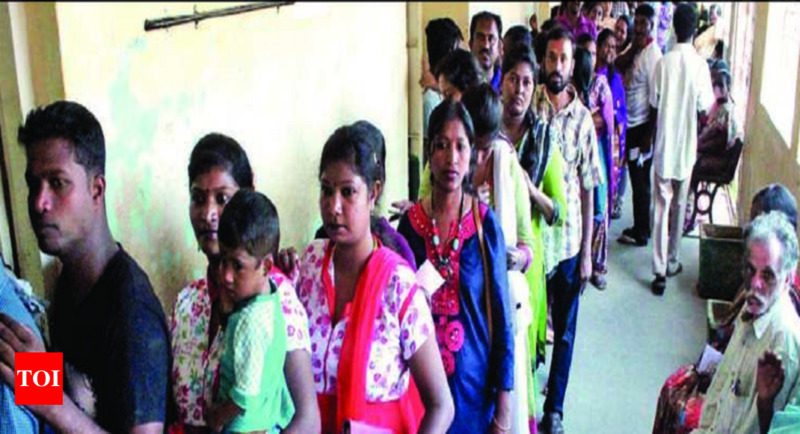 Cellphones not allowed inside, within 100 metres of polling ..
Lok Sabha Elections 2019 News: BENGALURU: Voters will be prohibited from carrying cellphones into polling stations on April 18 and 23. Great info. Thanks, this is very timely and very useful for al the voters !! The amount of cash being caught in Tamil Nadu makes you wonder: whatever happened to the DeMo crackdown? Or is simply pink the new black? Cash is well and truly back! BTW day before yesterday people associated with the TN Ruling party came and distributed Rs.250 per vote in my relatives house near Porur .They were 5 voters and so gave 5x250 = Rs.1250 but they declined to take it and assured them that their Vote is for BJP-AIADMK Combine . So it seems ruling party can freely distribute cash while only opposition parties houses and offices are raided . Majboot Sarkars Overrated? History Shows India Need Not Dread a Coalition Govt. 1. Majority govts are a existential risk for democracy. So India cannot afford such huge majority. 2. India can only be ruled by coalition model. No single party or group can have such unprecented powers. It can and will be misused as we can see it. 3. 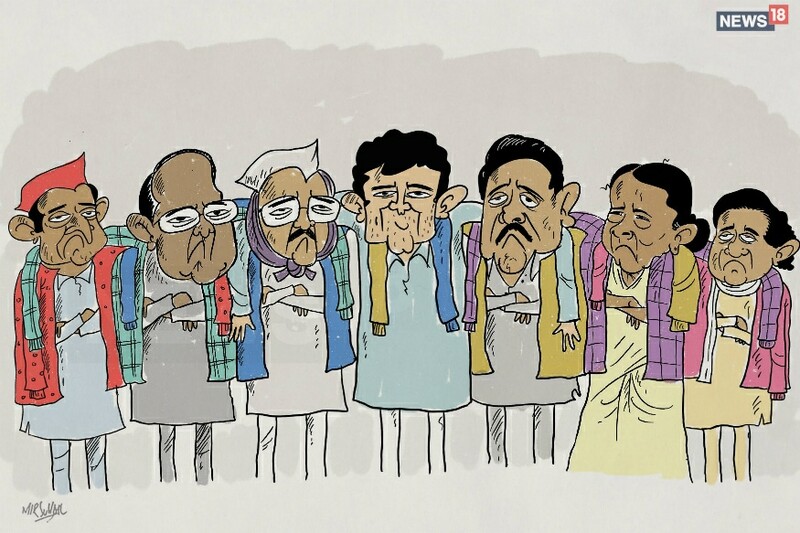 No single party should even be allowed to stand in more than 100 seats. So by design, we must have coalition govt and all decisions must be by broad consensus !!! HAVING A VOTER ID IS NOT ENOUGH TO CAST YOUR VOTE - The parliament elections to India is going on and got completed in TN on 18 April 2019 . 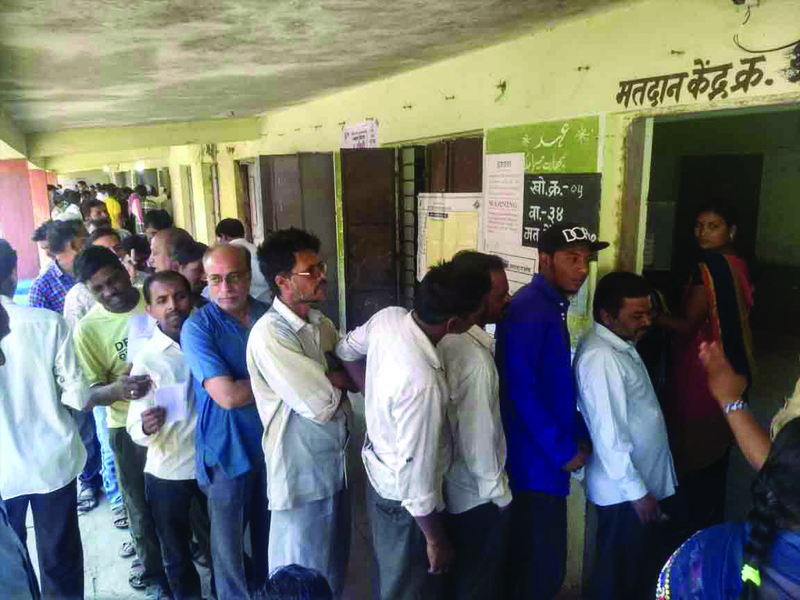 While many voted but lot of people also complained that inspite of having a VOTER ID Card and in spite of having cast the vote last time this time their name is on the list . I know it is very painful to see your name on the Voter list but this name verification should not be done on the Voting day and feeling frustrated many end up shouting and arguing with the Poll Officer on duty . We must understand the simple fact that having a VOTER ID alone is not enough and that your name must be on the voting list and most importantly there is always revision of the voting list done before every elections when new names are added , some names deleted ( due to death , transfer to another place etc etc ) and the ECI ( ELECTION COMMISSION OF INDIA ) always puts out these details much before the actual election date for people to verify , check their details and suggest corrections if any before the FINAL VOTER LIST is prepared . Once the final Voter list is prepared there is no way to make any changes . SO WE MUST NOT TAKE IT FOR GRANTED JUST BECAUSE WE HAVE CAST OUR VOTE THIS ELECTION AND JUST BECAUSE WE DID NOT SHIFT OUR RESIDENCE OUR VOTE WILL BE THERE BY DEFAULT NEXT TIME . Mostly it will be there and supposed to be there when there is revision of electoral rolls WE MUST TAKE PROACTIVE STEPS TO CHECK BEFORE HAND ONLINE FROM THE ECI WEBSITE using over VOTER ID Number and make sure our name is on the list before the list is finalized . SO those who missed Voting due to lack of name in the list this time kindly make efforts to have your name included before the next assembly or local body elections in your state and fighting and arguing with the Poll officer on the voting day or coming before TV Cameras and complaining ( like many CELEBRITY VOTERS do ) is not the way . Five years after Narendra Modi swept to power in a landslide election victory, and as he again faces the voters, we should ask: has he delivered on his campaign promises of Acche Din and “minimum government, maximum governance”? In 2014, most commentators, and I include myself, didn’t interrogate Modi’s promises carefully enough, allowing him to get away with catchy slogans that may not have had any substance in them. Be that as it may, it’s incumbent on us now to move beyond the marketing, at which this government excels, and examine its record. Start with the shiny new Gross Domestic Product (GDP) statistics, which would have you believe that the fastest growth under this government happened in the year of the disruptive shock of demonetisation. Serious economists and now even the International Monetary Fund for the first time have questioned this data. Even if we buy them, 7% growth should be seen as a baseline scenario and not a success. Meanwhile, all other indicators point to an economy stuck in the mud. Consider Modi’s promise of making India a global trade and manufacturing hub. The reality is that the trade to GDP ratio peaked in 2012 in the supposedly bad old days of the United Progressive Alliance (UPA) and has been trending down ever since. It’s now as low as 44%. Likewise, foreign direct investment (FDI) as a share of GDP peaked at 3% in 2008-9 under the UPA and is hovering a little above 2% under Modi. India has actually been de-globalising on Modi’s watch, made worse by the ham-handed return to protectionism and import substitution which was tried for decades and then discarded in 1991. In the latter days of the UPA, Modi and the Bharatiya Janata Party (BJP) made political hay from the fact that the rupee was going down against the US dollar. Modi even joked that the rupee was in the Intensive Care Unit (ICU). The truth is, even at the height of the “taper crisis” in 2013, the exchange rate stood at 63.6. Today it’s roughly at 69. If the rupee was in the ICU in 2013, it’s now officially dead and buried. Our Andh Bakths don't want to question the govt on its election promises nor allow others to question. Biggest threat to democracy is the Andh Bakths, who supposedly are educated with degrees, come on social media forums and start personal fights with those who question the govt. Andh Bakths, please throw your degrees into the garbage bin where it correctly belongs. LOL. And spare the rest of us your stupidity ! !